Bring home a legend! 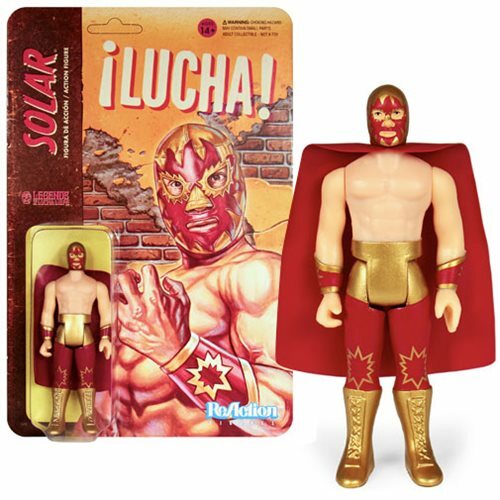 This Legends of Lucha Libre Solar ReAction Figure stands 3 3/4-inch tall and has 5 points of articulation. Includes cape. Ages 14 and up.